Never taken a diving course before? 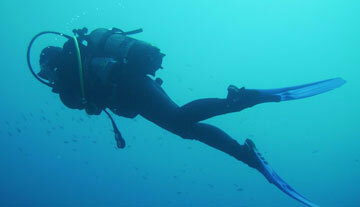 You can begin here at our school that offers various courses for PADI certifications for beginners. More experienced divers will also find appropriate courses available as indicated below. We offer a professional and appropriate learning environment with our divers’ safety as our top priority. DAN insurance is available for beginner courses upon request. An ideal course for those who want to earn an entry level PADI certification in scuba diving with a lesser time commitment; course can be completed in 2 days, if desired. Become a fully certified PADI open-water diver in as little as 4 days. Expand upon your current Open Water certification and become an advanced open water diver — includes 5 unforgettable adventure dives. Improve your skills and master the ability to help other divers. Available to divers and non-divers, learn primary and secondary care to help save lives. The ultimate certification for the recreational diver. Begin the journey to go pro!